Want to know who lived in your house before you did? Or even worse DIED in your home before you moved in? Fear no more -- thanks to this eerie website, www.DiedInHouse.com -- the morbid truth will be revealed. Founder Roy Condrey, who started the site based on his own first-hand experience, explained that its "purpose is to help you found out [the truth] before you buy or rent." And for only a small fee of $11.99, you might be shocked at what spine-chilling information this site may dig up. Pretty much all the information you're DYING to know. 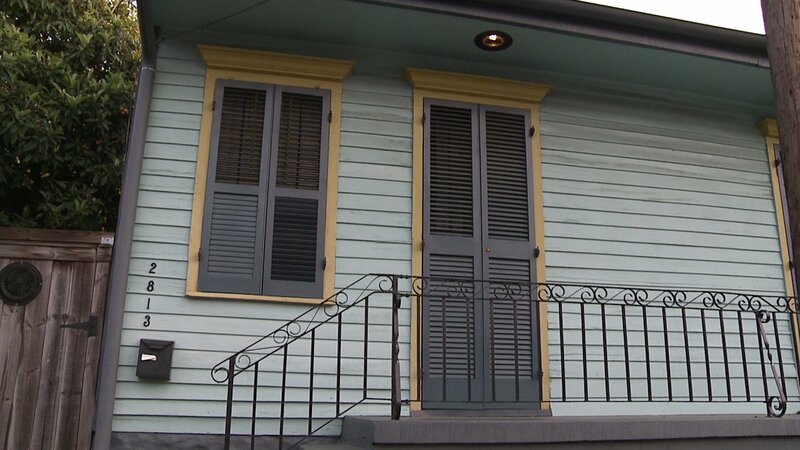 Although deaths in homes are not uncommon, New Orleans realtor Jon Huffman explains that, "the question there isn't, 'Did somebody die? It's 'How many people died in this house over the years!'" Housed in the original 1908 Administrative building of the old State Mental Institution, Pennhurst Asylum was rated as the scariest Haunted Attraction in America by USA Today. It's essentially a hospital themed walk-through that’s guaranteed to scare. One of the most realistically themed haunted houses in the country! The attraction features a 30 minute walk-through with 13 themed areas from the fog-filled streets of London to the lost underwater city of Atlantis. Netherworld Haunted House is known for its over-the-top special effects, chilling details and unique monsters. It merges scary, fun and cool into a safe environment. Continually recognized as one of America’s top haunted houses, House of Torment shows fans new storylines and unimaginable monstrosities that await them at 3 separate haunts. The Darkness has three attractions in one location for one price including the two floors of Darkness, Terror Visions in 3D and the Monster Museum. Erebus is the result of Dr. Colber who worked for the government to build a time machine and eventually came up with a brilliant idea to disguise his time machine as a haunted house. The Dent Schoolhouse changes over a third of the attraction every year. Also, every ticket includes the Queen City Slaughter Yard. More blood, more bodies, and more intensity! Kersey Valley Spookywoods is a haunted attraction by night each Halloween Season and a full-scale Scream Park year-round. Spookywoods utilizes natural outdoor environments to play on every fear. Headless Horseman Hayrides and Haunted Houses has 10 different attractions, from "The Witching Hour" to "Crow Hollow." Cutting Edge Haunted House is a dark attraction filled with amazing special effects and incredible monsters. This intense, multi-themed haunted attraction is widely considered to be one of the best Haunted Houses in the nation.